Persecution and animosity toward the Jews began early in their national history. Pharaoh, Haman and Antiochus Epiphanies are only a few examples of rulers who tried to destroy the biblical chosen people. One reason for this longest of hatreds may be that the presence of the Jews in the world reminds humankind of the God of the Bible who keeps covenant and shows mercy. The forces of evil seem to have an innate desire to get rid of this people. However, our concern here is with Christians, who also claim a chosen relationship with God. 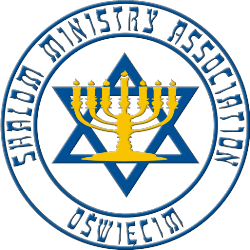 That persecution of the Jews has arisen from our community is a tragedy and a shame with which we must deal. 1. The early Church was Jewish. Conflict of church and synagogue was between brothers. 2. Is there anti-Semitism in the New Testament? 3. How about Jewish persecution of early Christians? 7. 250 AD-1st charge of Deicide-deliberate killing of God. 8. 3rd century document instructed Christians to pray and fast for the Jews during Passover, better than forced conversions. 2. As church left its position as persecuted minority and came to political power it took increasingly unbiblical stance in regard to the Jews. 3. Moved from Hebrew to Greek world-view. a. Says God is finished with the Jews. b. Claims the Church is the new Israel, supersedes the Jews. a. Gregory of Nyssa: "brood of vipers, haters of goodness." b. St. Jerome: ". . .serpents, image of Judas, their psalms and prayers are the braying of donkeys." c. St John Chrysostom: "Jews are inveterate murderers, possessed by the devil, their debauchery and drunkenness gives them the manners of the pig. They kill and maim one another." "Jews are abandoned by God and for the crime of deicide there is no expiation possible." "God has always hated the Jews." d. St Augustine: "Let us preach to Jews in spirit of love, not for us to boast over broken branches." Less condemning, however Augustine's approach to theology tended to allegorize the Hebrew scriptures and seriously minimize God's continuing covenant with Israel. 6. 415 AD - Bishop of Alexandria expelled the Jews and gave their property to a Christian mob. 7. 632 AD - Beginning of forced baptisms. 8. 897 AD - Jews stripped of property rights. 9. 10th century AD - Custom began of hitting a Jew in the face on Good Friday and stoning Jewish homes on Palm Sunday. 1. 1096 - 1st Crusade. More than 5,000 Jews in the Rhineland slaughtered as Crusaders made their way to the Holy Land. 2. 1146 - 2nd Crusade. Monk Rudolph vs. St Bernard of Clairvaux. Entire Jewish community of Bloise, France burned at stake in Blood Libel accusation. 3. 1189 - 3rd Crusade. Most violent in England. In York, 150 Jews under siege in a castle committed suicide rather than be burned at the stake. 4. Debts owed to Jews were canceled for Crusaders. 5. 1215 - Jews in many areas forced to wear distinctive dress and live in restricted areas. 6. Star of David as badge of shame and pointed hat required in Poland. 1. 1320 - Jews accused of poisoning water wells. Along with blood libel, marks beginning of Jewish world conspiracy theories. 2. 1347-50 Black Death. Jews blamed again. 200 Jewish communities destroyed. 3. Inquisition was permanent court of the Church established to stamp out heresy. Problem in Spain dealt with so-called Marranos or Conversos, Jews who had abandoned their faith under duress but still maintained ties with Jewish community and practice. 4. 1483 - Tomas Torquemada, Inquisitor General. Thousands of Jews tortured and burned at stake. 5. 1492 - 130,000 Jews forced to leave Spain. 1. Luther had sympathy for Jews in early years of his work. Became angry when they didn't quickly convert to his renewed form of Christianity. a. Synagogues should be burned, homes destroyed. b. Should be deprived of prayer books and Talmud’s. c. Rabbis forbidden to teach. d. Forbid passports and traveling privileges. e. Stopped from money-lending & usury. Be forced to do manual labor. f. "Act so we may be free of this insufferable, devilish burden - the Jews." 3. Calvin and other Reformers are also a "mixed bag" as far as relations with the Jews are concerned. 1. Poland: Received Jewish refugees from time of Crusaders. 2. Russia: Pogroms - devastation. 1881-1921, Jews began mass migration to US & Argentina. 3. Myth of racial superiority of Aryan race. Hegel, de Gobineau. 5. Protocols of the Learned Elders of Zion - hoax by Russian anti-Semites. 1905. Exposed in 1921 by London Times. Promoted in USA by Henry Ford. 3. Kristallnacht - anti-Jewish riots - Nov. 9, 1938 4. Building of death camps - 1940-42 5. 6 million dead - 1945 Note: Nazism is pagan, not Christian BUT most Nazis were members in good standing in Christian churches. A. Repent - look for hidden areas of prejudice in our own hearts and communities. B. Accept responsibility. We can't align ourselves only with the good in our collective past. C. Engage in practical acts of friendship and concern toward Israel and the Jewish people. D. Speak truth, correct false impressions. E. Build relationships and relate with integrity. JoAnn Magnuson has been involved in Jewish-Christian relations for over 30 years. She has participated in many Jewish-Christian dialogue programs in the Twin Cities area and has worked on many projects to bring interfaith understanding to churches in Minnesota. She has written materials on the history of anti-Semitism and has taught classes on Holocaust education to a variety of Christian groups. She has led over sixty tours to Israel and in recent years has headed the U.S. Protestant delegations to March of the Living in Poland. She is currently working with Christians in Eastern Europe to bring teaching into their churches that will foster a positive view of the Jewish people in a part of the world where anti-Semitism reigned for many years. Over the years she has served as Interfaith Relations Director for Bridges for Peace in the U.S. and Coordinator for the Presbyterian Committee to End Divestment Now. In 2007 and 2008 she served as U.S. Director of Christian Friends of Yad Vashem, a joint project of Yad Vashem and the International Christian Embassy Jerusalem. JoAnn is currently doing free lance consulting with a variety of groups working to build Jewish-Christian relations and support for Israel.